Texas Gov. Greg Abbott (R) has been elected to a second term, NBC News projected just after 8 p.m. Tuesday. 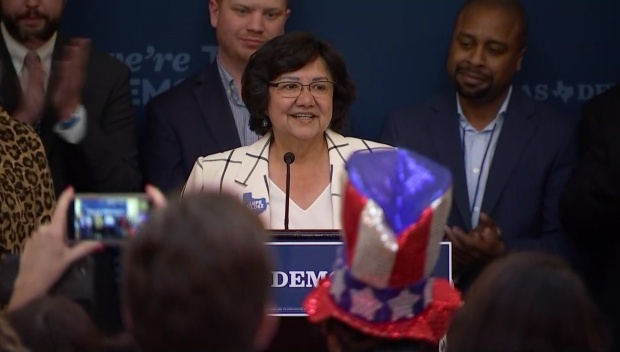 NBC called the race with two percent of precincts reporting and Abbott leading his Democratic challenger, former Dallas County Sheriff Lupe Valdez, 54 percent to 44 percent. "Tonight, voters across Texas sent a clear message," Abbott said in a statement. "They voted to build on the success of the past four years and to keep Texas on a path toward greater opportunity and prosperity." 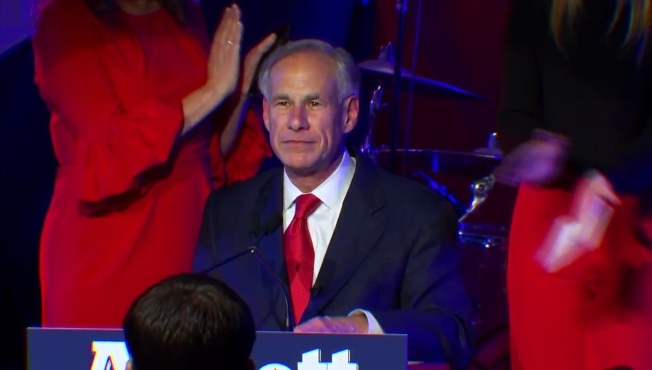 In a speech to supporters after he was declared the winner, Abbott talked about being a governor for all Texans, not just those who voted for him or even those who didn't vote at all. Abbott held a 14-point lead over Valdez, in an Oct. 29 Quinnipiac poll. Four years ago, Abbott beat Democrat Wendy Davis by more than 20 percentage points, 59.3 to 38.9 percent. Abbott succeeded Rick Perry, now the U.S. Secretary of Energy, in the Texas governor's mansion, after he served as the state's attorney general from 2002-2015 -- the longest anyone has held that post in Texas. Prior to holding that post, Abbott served as a justice on the Texas Supreme Court and as a state district judge in Harris County. Valdez attempted try to break Republicans' 22-year hold on the Texas governor's office. Incumbent Republican Gov. Greg Abbott and Democratic candidate Lupe Valdez discuss a variety of topics in the first and only Texas Gubernatorial Debate in Austin on Sept. 28, 2018. She served as Dallas County Sheriff for 12 years, from 2005-2017, after more than 40 years in law enforcement. Prior becoming sheriff, she served in the U.S. Army and was a Department of Homeland Security agent. She was Texas' first openly gay sheriff and was among about 40 female sheriffs in the U.S., according to the National Sheriffs Association. Abbott spent Tuesday at the Texas Governor's Mansion in Austin making calls to members of the state legislature, according to his campaign. Democrats seem to be backing U.S. Rep. Beto O’Rourke. The Dallas Morning News Austin Bureau Chief Bob Garrett weighs in on why O’Rourke could be the reason Gov. Abbott has a bad election night. Some democratic candidates, including Sheriff Lupe Valdez, will begin a 10-day, 47-stop state tour on Wednesday.